Rajasthan Royals (RR) will face Kolkata Knight Riders (KKR) in the match no 21 of VIVO Indian Premier League (IPL), 2019. The match will take place at Rajasthan fortress Sawai Mansingh Stadium. Australian batsman Ashton Turner joins Rajasthan training camp, ahead of RR vs KKR, IPL 2019. RR vs KKR, IPL 2019 Match 21, Key Players: Andre Russell to Jos Buttler to Jofra Archer, These Cricketers Are to Watch Out for at Sawai Mansingh Stadium. 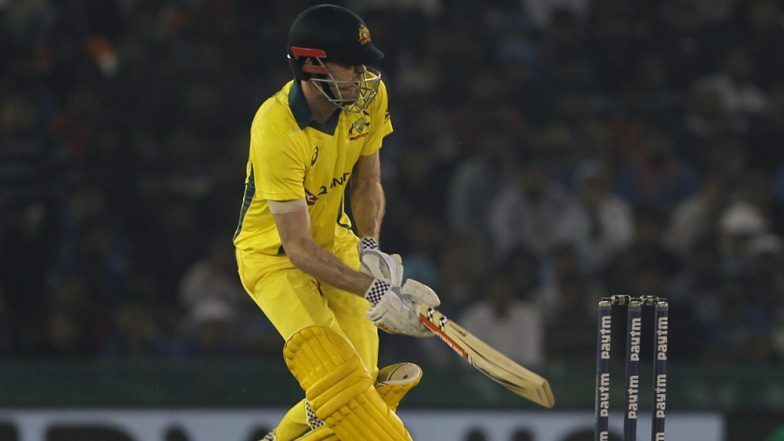 The right-handed Australian batsman Ashton Turner played a magnificent inning of unbeaten 84 runs from 43 balls in an ODI against India on Mar 10, 2019. His inning helped Aussies to chase down the massive total of 359 posted by the Indian team in 4th ODI of Paytm ODI series, 2019. Turner can become a vital player for RR as he has good batting skill. Even Rajasthan batting coach Amol Muzumdar said in the video posted by RR, that Ashton knocks the ball very nicely. Rajasthan after facing three defeats in a row in IPL 2019, won their last game against Royal Challengers Bangalore (RCB). RR chased down a total of 158 posted by Bangalore. Rajasthan opening batsman Jos Butler has done well for his team till now in IPL 12, as the English batsman played a brilliant knock of 59(43) against RCB. RR will look forward to take the home advantage and win the upcoming game against Kolkata Knight Riders (KKR).